Next, John stresses not to stick to a cookie-cutter design. Keep your own needs and wants in mind when choosing to work with an architect and builder and finding the furnishings and décor pieces you like. Just because a piece of furniture is midcentury modern doesn’t mean it fits into the specific niche style you prefer, so that you enjoy the end results of your ranch renovation. 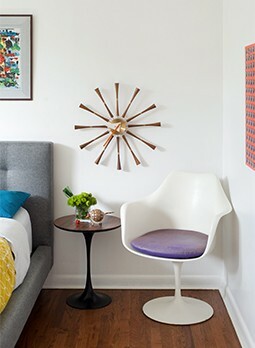 His last piece of advice regarding his renovation of the kitchen and family rooms is simple—if you have to change big parts of the house to achieve the midcentury modern look you want, just go for it. For more information on John Klopf and Klopf Architecture, visit klopfarchitecture.com.